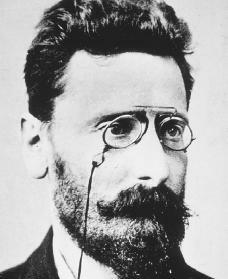 Joseph Pulitzer, Hungarian-born editor and publisher, was important in the development of the modern newspaper in the United States. Joseph Pulitzer was born in Mako, Hungary, on April 10, 1847, the son of Philip Pulitzer, a well-to-do grain dealer, and Louise Berger. Pulitzer was educated by private tutors, from whom he learned to speak German and French. Thin, with poor vision and weak lungs, he tried to enlist in the army in Europe but was turned down. In 1864 he left Hungary for the United States and became a soldier in the Union army during the Civil War (1861–65), when Northern and Southern American states fought mainly over the issue of slavery. After the war, the tall, red-bearded youth had no job and settled in St. Louis, Missouri, where there was a large German population. Pulitzer worked as a waiter, taxi driver, and a caretaker of mules before getting a job as a reporter on a newspaper called the Westliche Post. A short time after joining the Post, Pulitzer was nominated (his name was put forward for consideration) for the state legislature by the Republican Party. His campaign was considered a long shot because he was nominated in a Democratic district. Pulitzer, however, ran seriously and won. In the legislature he fought graft (illegal gain) and corruption (improper conduct by elected officials). In one wild dispute he shot a man in the leg for saying that he had written an untrue story in the newspaper. Pulitzer escaped punishment with a fine that his friends paid. Pulitzer was hard-working and ambitious. He bought the St. Louis Post for about three thousand dollars in 1872. He also bought a German paper and sold it at a twenty thousand dollar profit. These profits helped pay for his political activities and for law school. In 1876 Pulitzer was allowed to practice law in Missouri. He started a law practice, but he gave it up in 1878 after purchasing the troubled St. Louis Dispatch at a sheriff's sale for twenty-seven hundred dollars and combining it with the Post. Aided by his brilliant editor in chief, John A. Cockerill, Pulitzer launched crusades against lotteries, gambling, and tax dodging; led drives to have streets cleaned and repaired; and sought to make St. Louis more civic-minded. The Post-Dispatch became a success. In 1883 Pulitzer, then thirty-six, purchased the New York World for $346,000 from businessman Jay Gould (1836–1892), who was losing forty thousand dollars a year on the paper. Pulitzer made the down payment (a portion of the total price paid at the beginning of a loan) from Post-Dispatch profits and made all later payments out of profits from the World. Even as Pulitzer's eyes began to fail in the 1880s (he went blind in 1889), he carried on a battle for readers with William Randolph Hearst (1863–1951), publisher of the New York Journal. In New York, New York, he promised that the World would "expose all fraud and sham, fight all public evils and abuses" and "battle for the people with earnest sincerity." He concentrated on human-interest stories, scandal (behavior that causes loss of faith in a person), and sensational material. Pulitzer's World was a strong supporter of the common man. It often supported unions during strikes. Pulitzer in the early part of his career opposed large headlines and art. Later, as his fight with Hearst increased in the 1890s, the two giants went to ever larger headline type and more fantastic art and engaged in questionable practices until Pulitzer decided things had gone too far and cut back. Pulitzer defended his methods, though, saying that people had to know about crime in order to fight it. He once told a critic, "I want to talk to a nation, not a select committee." Pulitzer died aboard his yacht in the harbor at Charleston, South Carolina, on October 29, 1911. In his will he provided two million dollars for the establishment of a school of journalism at Columbia University in New York City. Also, by the terms of his will, the prizes bearing his name were established in 1915. Pulitzer Prizes are awarded every year to honor achievements in journalism, literature, and music. Barrett, James W. Joseph Pulitzer and His World. New York: Vanguard Press, 1941. Noble, Iris. Joseph Pulitzer: Front Page Pioneer. New York: Messner, 1957. Seitz, Don C. Joseph Pulitzer: His Life and Letters. New York; AMS Press, 1970. Whitelaw, Nancy. Joseph Pulitzer and the New York World. Greensboro, NC: Morgan Reynolds, 2000.